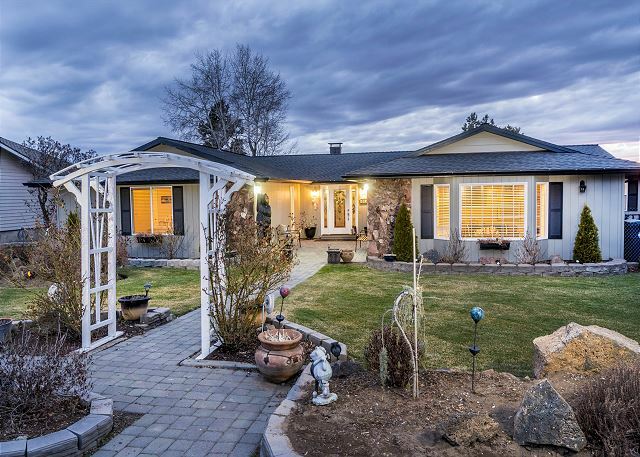 Unbeatable location in the heart of Central Oregon with ample room for the whole family. 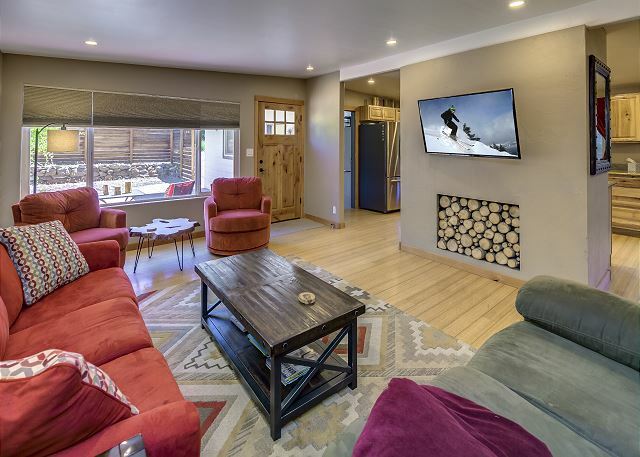 Stretch out with 3 bedrooms, a sleeper sofa in the den, two living spaces and a large gourmet kitchen. 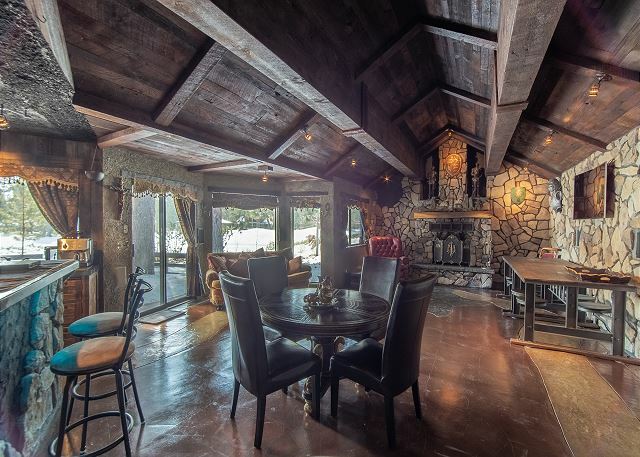 This immaculate, 2-story house with a private hot tub invites comfort, and exudes modern elegance. 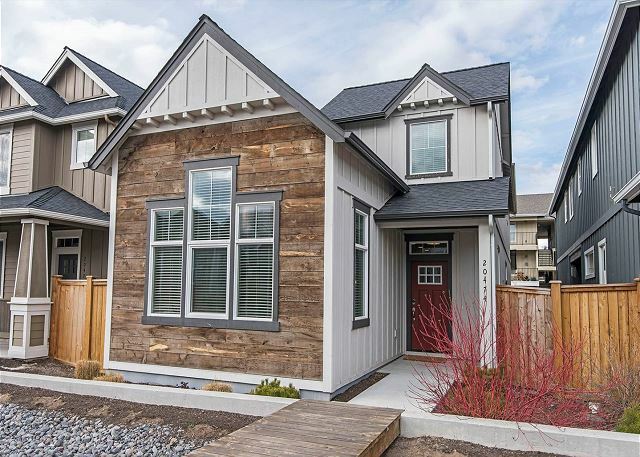 With 3 bedrooms, 2.5 baths, generous living space and stylish finishes, you'll enjoy a perfect setting for relaxing and enjoying all Bend has to offer! Luxury and recreation await in this 3 bedroom, 2 bath home with ample space for entertaining friends or family. This home features a modern kitchen with hardwood floors, granite countertops, and stainless steel appliances. New Listing! Remodeled First Floor Condo ~ Walking Distance to Downtown Bend! 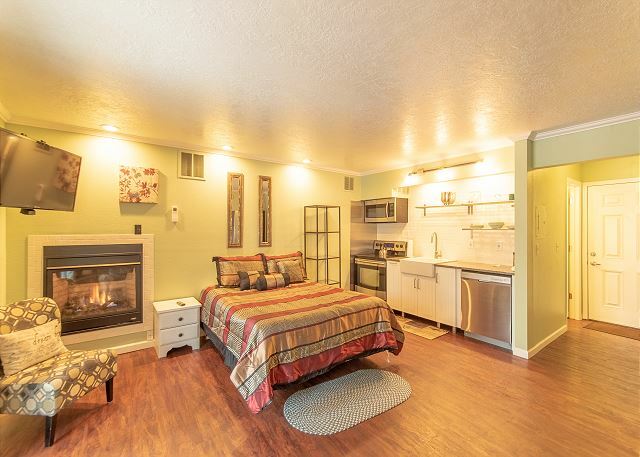 This lovely remodeled studio is just steps from Pioneer Park, the river and downtown Bend. Take advantage of the kitchen and BBQ grill and enjoy a dinner on the patio or take a picnic to the park right across the way!